Apart from the recent (and annoying) cheating rumors between Kylie Jenner and Travis Scott, fans have been wondering day in and out whether or not the pair is secretly engaged or already married. The two call each other "husband" and "wife" all over social media, and a recent Instagram post has convinced many that the two are tying the knot. In celebration of Travis earning his first No. 1 single on the Billboard Hot 100, Kylie took to Instagram earlier this week to share how proud she was. One photo in particular has fans buzzing, as she posted a photo of them to her story with a diamond ring emoji. Well, it appears people just can't wait any longer to find out, and are even going to the family to figure out what the deal is. 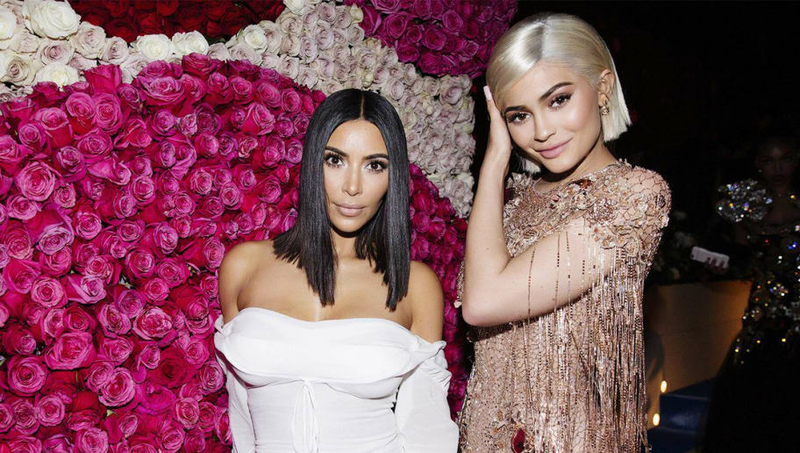 While being interviewed by Entertainment Tonight, Kim Kardashian was asked if Kylie and Travis were engaged or married, to which the reality star said she had "no idea." She did note, however, that she believes the couple just call each other "husband" and "wife," suggesting they're not serious. Kim concluded that she'll have to ask Kylie what was going on, but her answer will probably be kept quiet. The KKW Beauty founder did play coy on the question, but it does seem like she was telling the truth. Both Kylie and Travis are pretty private with their personal lives. Remember they hid their pregnancy for the full nine months? If the two were engaged or married, we wouldn't be surprised if we found out a year or more later. We're just waiting to open up our Instagram apps and see a post from Kylie about the news! One day sooner than later, hopefully.